Patients with keratoconus and other corneal irregularities can sometimes be challenging to fit with regular rigid gas permeable lenses. A new lens concept was developed of fitting a rigid gas permeable lens into a soft recess lens carrier called the “Pillow Lens”. The soft Pillow Lens has an integrated front-surface recessed geometry that allows for a customized rigid gas permeable lens to be placed within the recess carrier (Figure 1). This lens design is ideal for patients who require the optics of a gas permeable lens but have difficulty adapting to the comfort of a rigid lens. The Pillow Lens also provides lens stability and proper centration when corneal shape and lid interaction displace the contact lens, as often occurs in cases of more advanced keratoconus. The hydrophilic (soft) component of this combination lens system smoothes out some of the corneal surface irregularities, creating a new resultant anterior corneal surface curve that is more regular, flatter and easier to fit. The deep cutout portion of the hydrophilic component buries the gas permeable lens into the soft pillow lens, creating a smooth anterior lens surface that minimizes interaction with the eye surface and inner lid. The rigid lens portion of the system provides the optical correction. The soft pillow lens adds no power or vision correcting component – it controls the lens positioning and movement and provides a barrier between the rigid lens and the corneal surface. Once the rigid lens is placed within the hydrophilic pillow recess cutout, the combination lens moves as a single unit. Lens movement can be promoted or inhibited by the soft lens material (variable stiffness and thickness characteristics), shape factors and curvature. Thin soft lenses tend to wrap around the cornea. As the hydrophilic soft lens becomes thicker and stiffer, the fitting characteristics behave similar to a rigid lens. The lens diameter of the combination lens is greater than 14.0 mm and provides comfort equal to that of any large diameter lens negating the lid interaction. The rigid lens diameter should be designed 0.3 to 0.4 mm smaller than the recess depression. The recess zone can be totally customized. Back surface curve selection of the soft pillow portion depends on the amount of movement desired. Our clinical investigators at EyeVis Eye and Vision Research Institutes have fit numerous keratoconus patients in the recessed Pillow lens system design by Leonard Seidner OD, manufactured by Fusion Contact Lens Inc. The specific advantages that this system provides for patients with keratoconus include improved comfort over rigid lenses that directly contact the cornea; improved centering of the rigid contact lens optics, thus providing superior vision outcomes; and the ability to utilize virtually any design of custom rigid gas permeable within the recessed pillow. This is critical since we can customize the soft pillow for fit, positioning and movement of the system and also customize the rigid lens portion to provide optimal vision outcomes. In fact, we have even fit keratoconus patients in bifocal and multifocal lenses as well as lenses that correct residual astigmatism (which is often a limiting factor for vision correction in keratoconus). In summary, the Recessed Pillow lens systems holds great promise for patients who have keratoconus as well as many other eye conditions. It provides the keratoconus contact lens specialist with another option to provide our patients with clear, comfortable vision and increased contact lens wearing time, and it may hold off the need for corneal transplantation surgery for those that formerly had no other option available. Dr. Eiden is president and medical director of North Suburban Vision Consultants, Ltd., a private group practice, and is the co-founder and president of EyeVis Eye and Vision Research Institute. 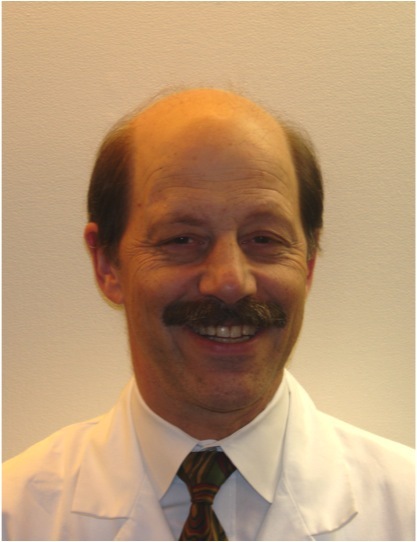 Dr. Eiden is an assistant clinical professor at the University of Illinois Department of Ophthalmology and an adjunct faculty member of the Indiana, Illinois, Salus, and UMSL Colleges of Optometry. He is Past Chair of the American Optometric Association’s Contact Lens and Cornea Section. Dr. Eiden is a research consultant for numerous contact lens and pharmaceutical companies. He is also a respected lecturer nationally and internationally and frequently publishes in the professional literature. Dr. Davis is co-founder of EyeVis Eye and Vision Research Institute. 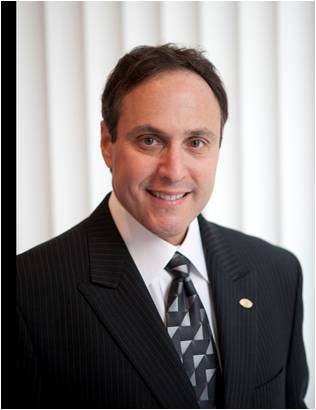 He is a Diplomate in the American Academy of Optometry and an inductee in the National Academy Practice in Optometry. Dr. Davis has published and lectured extensively on topics related to contact lenses, eye care and the management of eye disorders. He is an adjunct faculty member of Illinois College of Optometry, University of Alabama and Salus University College of Optometry.